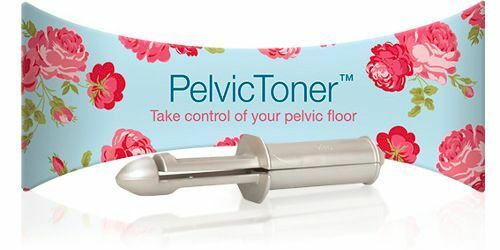 "I feel I must write to you to say a huge Thank You for your amazing Pelvic Toner! I have been experiencing stress incontinence since I had my son in 2004. Although I had regularly done my pelvic floor exercises, I remember being utterly horrified to discover I was leaking when I went for a jog a few weeks after my son was born. At that time I hoped it would improve in time with pelvic floor exercises. After my daughter was born in 2006 I was determined to do something about it as the problem was getting in the way of my yoga practice and other exercise. I bought a set of weighted cones but these did nothing at all for the problem in fact they just highlighted how bad things were. I have many friends who have young children and leaking is something which we all have accepted as part of having children despite the fact we are in our 30's/late 20's. This is something I always used to think just affected older women. When we got a trampoline a couple of years ago I had to face up to the fact that the problem wasn't getting any better - after just a few jumps on it with the kids I would have significantly leaked. There was just no strength in the pelvic sling. At this point I decided to get some medical tests done. I was examined and disappointed to be told to continue with pelvic floor exercises. I then heard of the Kegel 8 which I tried for a year but this did not significantly improve things. Then a few months ago a friend recommended the Pelvic Toner. I have to admit I was a bit sceptical at first as I had become a bit jaded by the subject but yes. . . . It is amazing! Even after a few days I knew that I was finally exercising the 'right' muscles and they felt tighter and stronger almost straight away! I have noticed a massive difference when on the trampoline and whilst running. I haven't leaked once. This extra tightness and strength definitely adds to sexual pleasure. So, I can't thank you enough. I've practiced yoga for 13 years and swam competitively in my 20's. Plus I thought nothing of rollerblading for a few hours in an afternoon before I had my children so I didn't think I would be a candidate for this as I was in optimum fitness. I'm so glad and relieved that I don't need to worry it anymore or have that feeling of dread when the Tena Lady ads come on! I work as an acupuncturist and now recommend the PT to all my female patients and friends as I'm aware SO many women experience this. With immense thanks and best wishes."